Digital PS VR version reviewed using a standard PS4, and two PS Move controllers. The game appears to unoffically support using a DualShock 4 as well as noted in the review. 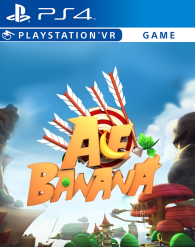 Developed by Time of Virtual Reality and published by Oasis Games, 'Ace Banana' is the first archery title for PlayStation VR. Players can use two PlayStation Move controllers to shoot arrows at waves of enemies. 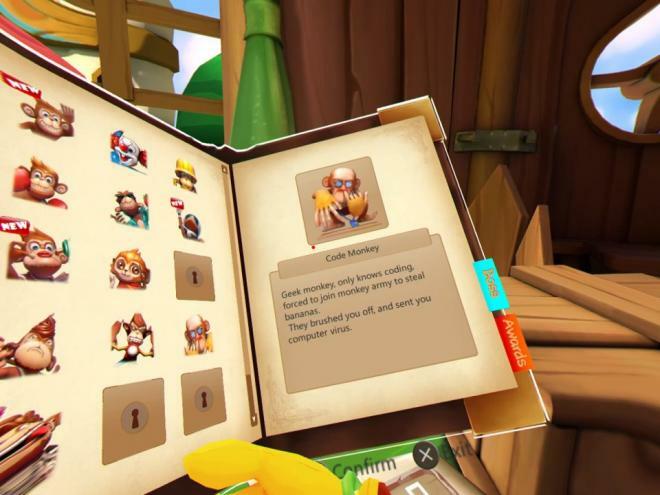 The game also explores the long-lasting conflict between bananas and the monkeys that want to eat them. Six years later, 'Ace Banana' is attempting to use that exact same control scheme but in a very different setting. Instead of having players compete in archery events, it takes place in a fantasy setting where I, playing the role of a giant humanoid banana creature, had to shoot down monkeys that were trying to steal baby bananas. It's a completely over-the-top premise, but I absolutely loved it after a short introductory cutscene explained what was going on. The goal is to defeat wave after wave of monkeys by simply pulling back arrows and flinging them at the mischievous primates. It's fine in theory, but the archery doesn't feel nearly as responsive here as it did in 'Sports Champions.' 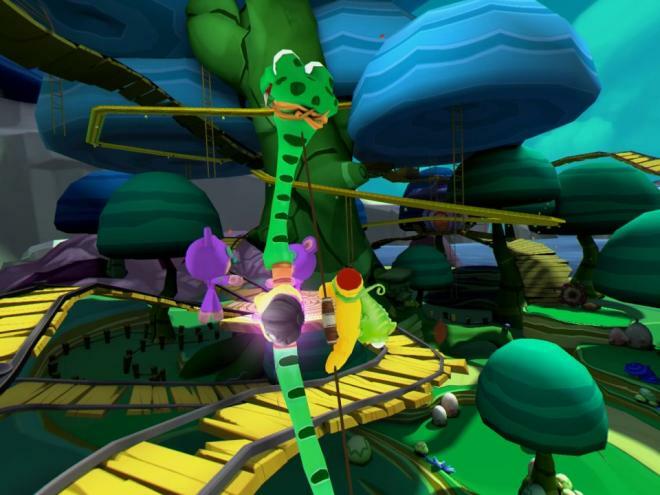 The issue starts with where the game places the player in its environment. Instead of placing me in the center of the area I had to defend, it placed me off to the right. Thinking it was a tracking issue, I tried to recalibrate by holding the options menu, but I never got the game to properly center me. It's one of the few times where I'm relatively certain it's the game at fault and not PlayStation VR being wonky. Regardless of being placed in a weird position, I kept playing since I figured it wouldn't have too much of an impact. It just meant that I never had to turn my head to the right, and had to move my entire body to the left if I wanted to look at the far side of the area I was in. It wasn't ideal, but it could definitely be worked around. Shortly after actually playing the game, I realized that the base archery just feels terrible. I had to pull back way too far on the string in order to have a straight shot, the on-screen target indicator often lied by telling me I had a clean shot and then it would go somewhere else completely, and sometimes my arrows would bounce off enemy monkeys without doing any damage. It's pretty crazy to see the game work this poorly when a perfect blueprint was shown six years ago, but the core archery feels like a bad imitation here. Even with the wonky aiming, and poor hit detection, I managed to make my way to the game's first boss on my initial try. This didn't end well as the mech-riding monkey requires the player to rapidly shoot arrows at him, and I ended up losing all my bananas after the game's movement feature (I could move around to different vantage points by holding in the Move button) stopped working mid-fight for no reason. Sadly, since the game only offers one mode with 16 different waves (with a boss occurring after every four waves), it meant that I had to start all over again from the very beginning. For about five-times in a row, I continued to get to the first boss and then ended up dying. It was then that I switched to the game's alternate control scheme, which uses the DualShock 4 controller. I found this to be much easier to use than the Move controllers since holding an arrow back only requires holding down the right trigger. This meant that I could jam on the trigger and rapidly fire arrows. I ended up beating the first boss on my first try with the controller, but the gameplay still largely felt hit-or-miss. I also had to turn so far left due to the terrible placement that the DualShock 4 would eventually stop moving, and I had to wait for monkeys to come forward before I could shoot them. Neither control scheme works as well as they should (and the DualShock 4 actually is unusable to breed banana babies that are then used as the player's avatar), and 'Ace Banana' often felt like a borderline broken game. There are some fun enemy types to face off against, such as boxers that will use their gloves to cover their faces, but the controls never feel accurate enough to make these encounters fun. Instead, my best success was often just mashing on the right trigger and spamming arrows until they hit. That's not an enjoyable way to play, but it somehow sees the most results. 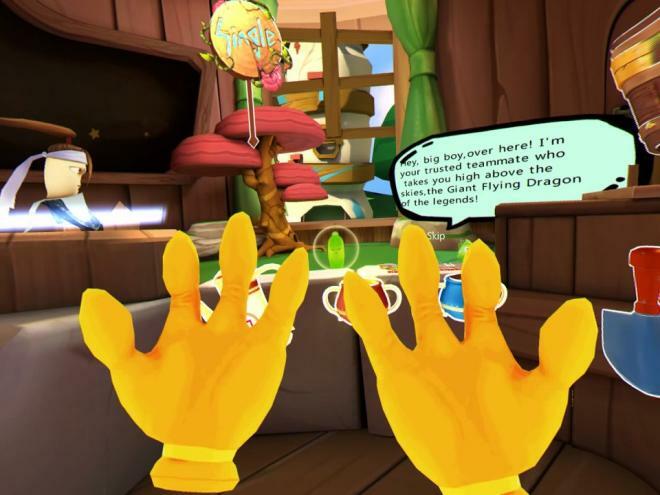 'Ace Banana's wave-based nature tries to hide how short of an experience it is by forcing the player to start over after every death. Some of these deaths feel unavoidable, as I had to learn a boss character's pattern before I could defeat him. So, when I died on the game's second boss, a ninjutsu-using monkey, I had to go through eight generic waves, and the first boss, just to get a second crack at him. The waves are randomized, so it's not super repetitive, but it's not a fun way to handle progression. Some type of level select would've shown the game's length, but it would at least had made it more enjoyable. The only real unique concept that 'Ace Banana' brings to the table is in the form of power-ups, that had me exchanging my arrows for what looked like swordfish, badminton shuttlecocks, and fishing rods. Most of these bonus arrows actually make the game more difficult to play by making the arrows behave weirdly, so I actually ended up avoiding them since there's no way to manually switch back to regular ammo. Seemingly, 'Ace Banana' can't even make power-ups fun. What ultimately makes 'Ace Banana' such a disappointment is that the game shows a lot of heart. I really enjoy the ridiculous story behind the game, there are a bunch of different enemy designs, and there is an absolutely horrifying mini-game that has the player pouring water on baby bananas to help them grow up and then morph into the abomination you can see above. I like everything surrounding the game, but the actual gameplay feels like a chore. If there is one thing that I do like about 'Ace Banana,' it's the overall art direction. Sure, the human-sized bananas are nightmare fuel, but the monkey enemies are generally pretty fun to look at. Some of the less inspired ones look like 'Ape Escape' rejects, but there's a nice variety to the characters I was shooting. The one map the game takes place on also looks nice, as it sports a bright blue sky and colorful scenery that would make UK Resistance proud. 'Ace Banana' has an upbeat cheery theme that plays during the waves of combat, and it's fitting given the game's art style. The music isn't memorable or catchy, but it definitely fits the vibe of the game. Sound effects also fall in the same boat of being fine, but nothing spectacular, as monkeys make noises when shot and the string of the bow makes a satisfying sound when brought back. The only reason there is any replayability in 'Ace Banana' is due to the player having to start completely over after every death. This meant that I got extremely familiar with the monkeys I was repeatedly battling, at least until I had my fill and quit the game. There are no extra modes or features here, although a multiplayer mode is coming in a future patch according to the developer. 'Ace Banana' isn't a particularly fun game when it works, which makes all of the issues I ran into even more damning. There is room for a good archery game on PlayStation VR, but this isn't it. Its wave-based gameplay only serves to mask its lack of content, and even a charming aesthetic can't redeem this poorly designed game.